Canada has lost comedic legend Bob Roberson. 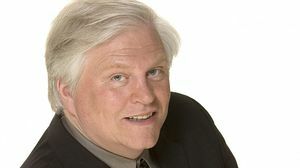 Robertson was one half of the Double Exposure duo and and along with his wife Linda Cullen, produced over 400 shows on the CBC. To quote Rick Mercer "A funny man is gone." Much love and condolences to his wife Linda.